Be warmly welcomed by our two Business Leaders Paulina Nowak and Gan In who are both very inspiring and encouraging with a wealth of Business experience not only in their Professional field but in Business in general. They love the Springfield Area Community and are passionate about connecting Businesses, community engagement and encouraging connections. Location: Local Biz Springfield Ignite is located at the Gailes Golf Club upstairs past the licensed bar you will see own private and fully signed Meeting area. You are welcome to order coffee, beverages, and food to enjoy while the Networking Event is on. It has an attractive long golf course where our Members can continue to enjoy these magnificent views after the meeting having lunch or even go for a round of golf. See further about this venue at http://gailesgolf.com.au/. Join us as once a month at Springfield Ignite Local Biz Networking Groups where you will be greeted by our wonderful Business Leaders, share ideas and collaborate with other Business owners plus gain knowledge with a special presentation once a month. 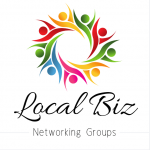 Local Biz Springfield Ignite meets every 3rd Friday every month from Registrations at 9:45am for a 10am start to 11:30am. Springfield Ignite meets on the 3rd Friday of each month. Springfield Ignite Meetings includes a Guest Speaker on a Business Topic that we can learn about, discuss, collaborate and share ideas on. The group is open for Networking after the presentation.